For most of the world’s professionals, success hinges greatly on the companies you work for. Regardless of natural talent, if you land successive jobs at average companies, eventually you will fall victim to your environment. If you are like many people, winning positions with successful companies rather than average ones means reimagining your view of the recruitment process. Evaluating and identifying what a truly successful job search process looks like is the skeleton key for unlocking your doors into the most successful companies. How best to begin? The job seekers who have the most trouble are those who don’t set defined goals. Without specific goals, they are unable to gauge how they are doing during the process and whether alterations need to be made in their strategy. 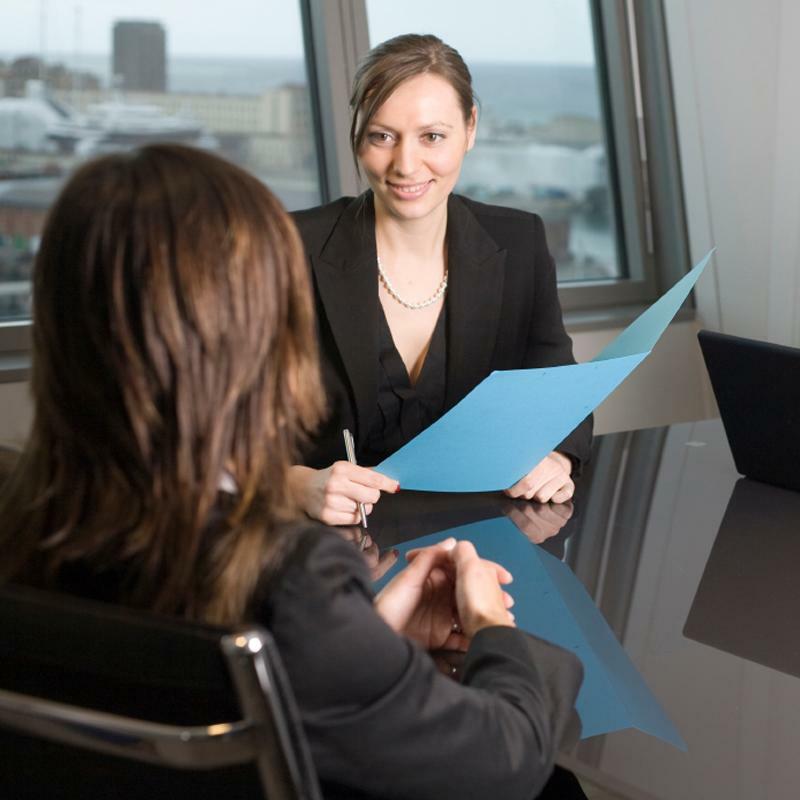 Naturally, the main goal of any job search is an acceptable offer of employment. A successful job search is one that yields anywhere from 2-4 solid employment options. This number fluctuates based on a candidate’s experience level, as well as salary demands and the current market in their industry and/or geographic area. For instance, an entry-level candidate should strive for 3 or 4 employment offers, while an established professional asking for a salary over $100,000 ought to be more than satisfied with 2 viable offers. Many job seekers only think about what they want and don’t take into consideration the needs of the hiring manger. Their vantage point is one dimensional and everything from their application to their interviewing techniques suffers. In reality, you don’t interview with a company, instead you interview with a person (or more often people) within that company. Take a few minutes to see things from their perspective; envision their needs. For instance, the HR manager of a large company is going to be preoccupied with finding someone who has the skill sets to do the job today. They are not concerned with your creative ideas for shaping the company’s future. Conversely, the CEO of a small business is preoccupied with finding someone who thinks like an entrepreneur and has a vision for how they can improve the firm going forward. Once you can think like a hiring manager, you can easily connect with and impress a hiring manager. Efficient job seekers don’t waste time worrying about how they are going to find the job they want, nor do they beat up on themselves for past interview failures. Rather, they have the ability to shift their focus to the obstacles that need to be overcome for them to achieve their goals. Once they’ve defined those hurdles, they do everything possible to knock them out one by one. Successful job applicants understand that inner turmoil depletes energy, creativity and interviewing prowess. They learn the necessary skills to cope with that stress and, thus are able to turn negative events into positive momentum. If you fail to put 110% into your search, you’re going to see significant ramifications. Think of it as a snowball effect. If you don’t end up at a strong company, your co-workers are much less likely to be ambitious, creative and positive thinking individuals. You will lack strong recommendations for your next job. You will have no significant achievements to show on your resume. You will remain at or slightly above your current salary. Regardless of career level, the entire interview process should not be shorter than 3 weeks, but should be complete before 8. Any shorter than 3 weeks and you risk making an impulsive decision that lands you at a mediocre company you haven’t thoroughly vetted. Any longer than 8 and you lose momentum, thus becoming prone to settle for a position that does not utilize your full range of skills and experiences. You do not have full control over the interview timeline, so pay attention to companies trying to either rush it or drag out the process, as this often signals a real problem reaching effective internal decisions. Hold yourself accountable to your goals and objectives. In your job search, it’s just you. A spouse or friend may provide moral support but at the end of the day, you run on your own steam. Knowing your goal is to achieve a certain amount of strong job offers, and knowing you need to think critically about your interviewers’ perspectives and react positively to your own stress, you are the one who has to make up your mind to aim for those goals and those tasks each day of your job search. It’s not enough to be hard working, determined and passionate about your job if you aim to be meaningfully successful. You must approach your job search with that same hard work, determination and passion. The way to success in your job search, and thus your career, isn’t holding yourself to perfection. Rather, teach yourself to think about the job search process on more varied levels. Pay attention to both current factors, like the hiring managers’ perspectives, and long-term indicators such as timing. Above all, hold yourself up to the task of improving every day, in your job search just as in your career.